After earthquakes and volcanic eruptions Japan got served a typhoon today. It seemed it’d be a lot worse, on October 3rd its strength was reported equivalent to a category 4 (out of 5) hurricane – a super typhoon. By the time it actually arrived it got downgraded to a category 1 equivalent, still the gusts of wind exceeded 180km/h and it has rained non-stop from Sunday to Monday midday. 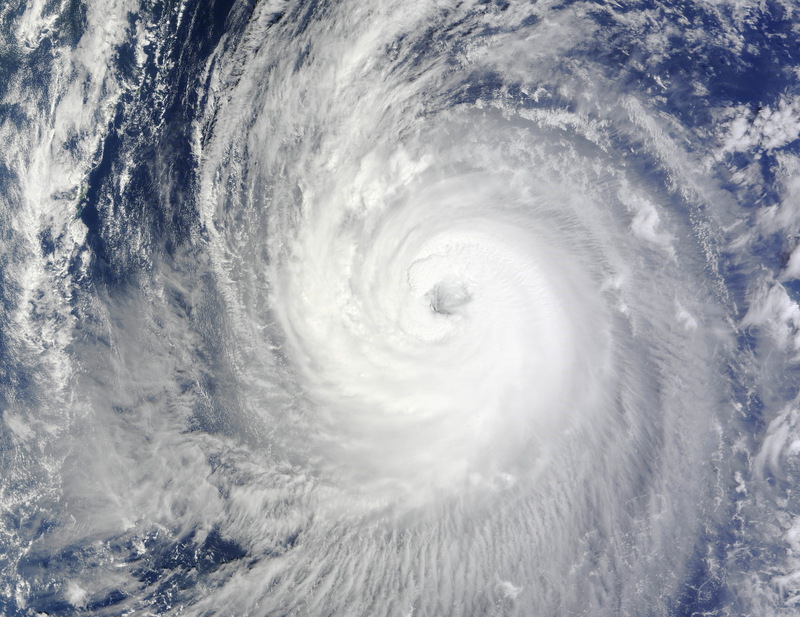 The world names the typhoon Phanfone, Japan seems content calling it #18, the 18th typhoon of the season. The arrival of a typhoon means that most of the train lines are suspended or experiencing heavy delays, because of that most schools (including mine) cancel the classes and some companies allow their employees to work from home. Others aren’t that lucky and have to brave through the rain and wind with mostly useless umbrellas and hope the operational trains will get them to work sort of on time. The typhoon’s damage from what I manage to catch on the TV and websites were a few flooded train tracks, a landslide hitting another track, 600 flights were delayed, and a lot of grumpy residents trying to ignore nature’s best attempts at inconveniencing them. Unfortunately there seem to have also been a few dead/missing people, 3 US airmen were swept to sea while taking photos of the waves crashing on the shore and a student’s missing after going surfing. While common sense might tell us to avoid doing things near or at sea with an incoming typhoon, surfers are of a different opinion. My experience of the whole ordeal is nothing special. My window got battered by the sideways rains and I could hear the wind howling around the neighbourhood. Apart from that there wasn’t much to see that would indicate anything out of the ordinary happening. What was extraordinary was that as soon as the typhoon has passed, the skies cleared up and I remembered reading how the hours following a typhoon are exceptionally clear. I grabbed my camera and ran for the top floor of my building and managed to finally see it – Mt. Fuji! It has evaded me for over a month but now it has finally showed itself in the distance. 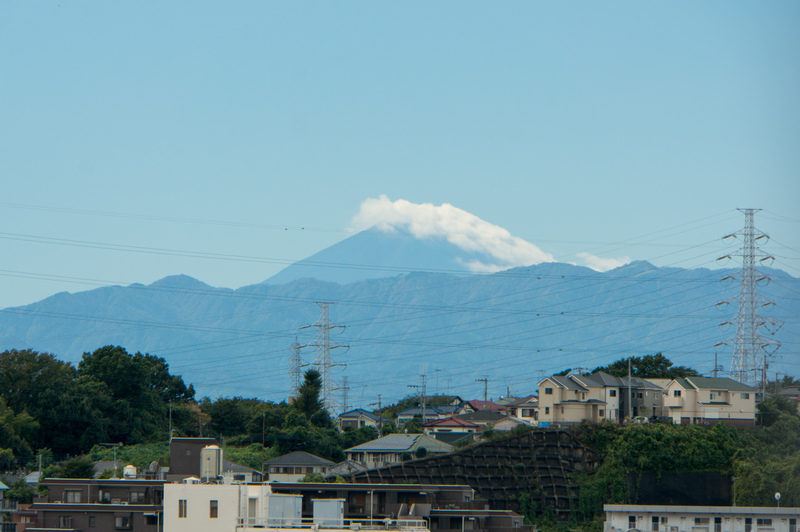 It is usually hard to see because my vantage point lacks proper height and during the summer the air is too hazy, the typhoon luckily blew all that away and I can cross seeing Fujisan off my to-do list. I headed for lunch and a stroll around the neighbourhood to see if there are any traces of the typhoon left, but apart from a few streets seeming like they were at some point flooded and leaves on the ground there wasn’t much damage. There was a cistern pumping water out of the parking garage of our complex of buildings, that wasn’t too surprising given the amount of rain that fell. Since the Nanbu line started running again the station was busy with people going and arriving. 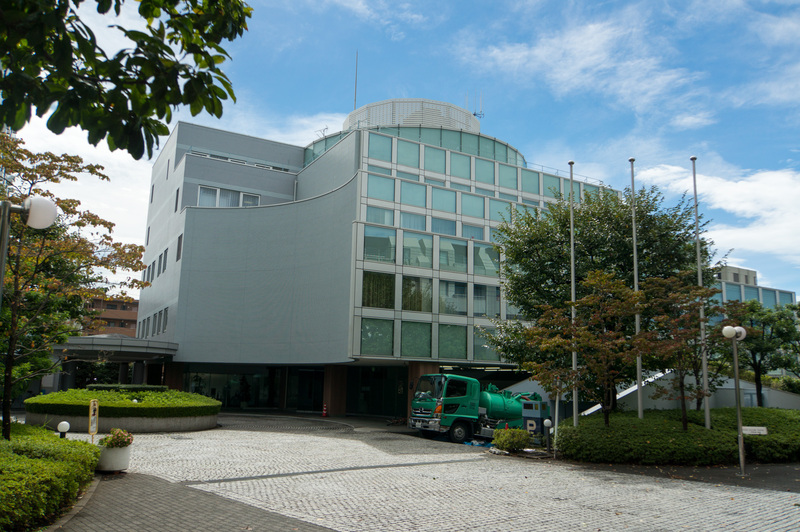 Fujitsu employees were finally getting to work and pensioners were cleaning up the streets. By evening it’ll be like nothing out of the ordinary happened, just another day in Japan.